If you needed another reason to cast your vote today for Tom Cross - candidate for Illinois Treasurer - perhaps United States Senator Mark Kirk's endorsement will help make up your mind. He came out and endorsed Tom Cross in the race yesterday. 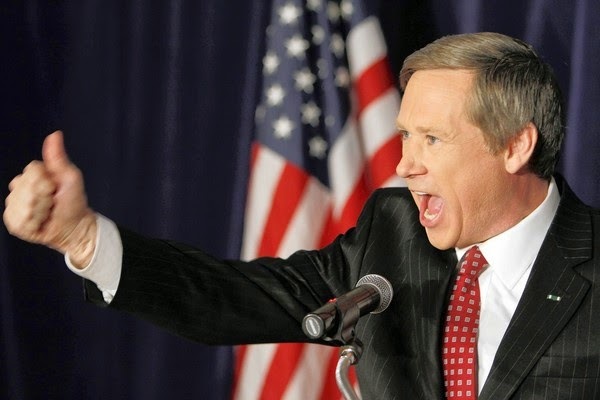 U.S. Sen. Mark Kirk, R-Ill., is backing Tom Cross in his bid for Treasurer. Cross, the former Illinois House Republican minority leader, is going up against CPA Bob Grogan in Tuesday's primary. ..."As our next Treasurer, Tom will bring his experience as a reform-minded Republican to the office, working on solutions for Illinois taxpayers. Tom will enforce Illinois’ constitutional requirement of a balanced budget and create a Government Integrity Unit to crack down on fraud corruption." Get out and vote for Tom Cross for Illinois Treasurer today. He's our best hope to keep the office and to turn around Illinois.